Join us for a fantastic night of Folk, Blues & Country with Reading based singer-songwriter Steve Morano and his special guest Tom Anderson. We will have great beers from Oakham ales (Cambridgeshire) & Hook Norton brewery (Oxfordshire). Pick your side and sample what they have to offer! The event runs from Friday 3rd May to Monday 6th May. possible there throughout the weekend. Please contact Pete at the pub or call for further info: 01296 696872. More details will follow nearer the time, so keep an eye out on social media! 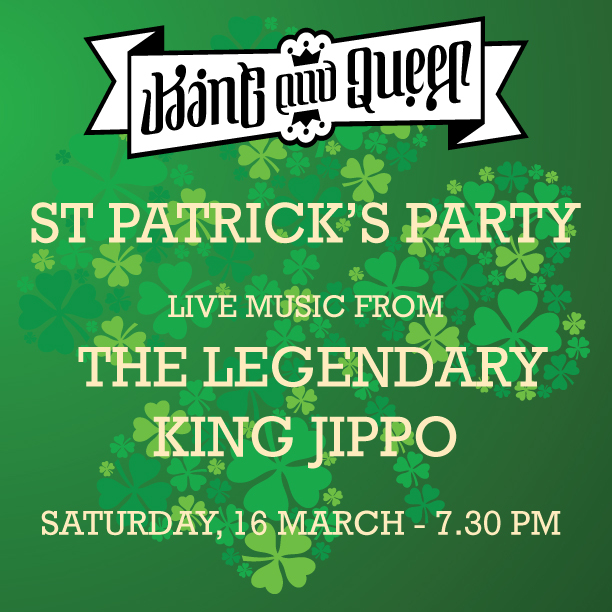 Saturday 16th March - 7.30pm - The best pub in Wendover for a St Patrick's party! Join us once again for Justine Hart's Altogether Acoustic Jam. Turn up and take part, or just listen to the jamming! We are looking forward to another great night, giving whoever wants the opportunity the chance to play in front of a friendly local audience. Join us on Saturday the 9th February at 8 pm to help Shelley & Pete celebrate their third anniversary running The King And Queen. We will also have live music provided by ‘SingSong Club’ providing us with a 21st-century take on the classic pub sing-song.